A Dumfries and Galloway Housing Partnership (DGHP) tenant is looking forward to benefitting from her new heating system which was installed this month. 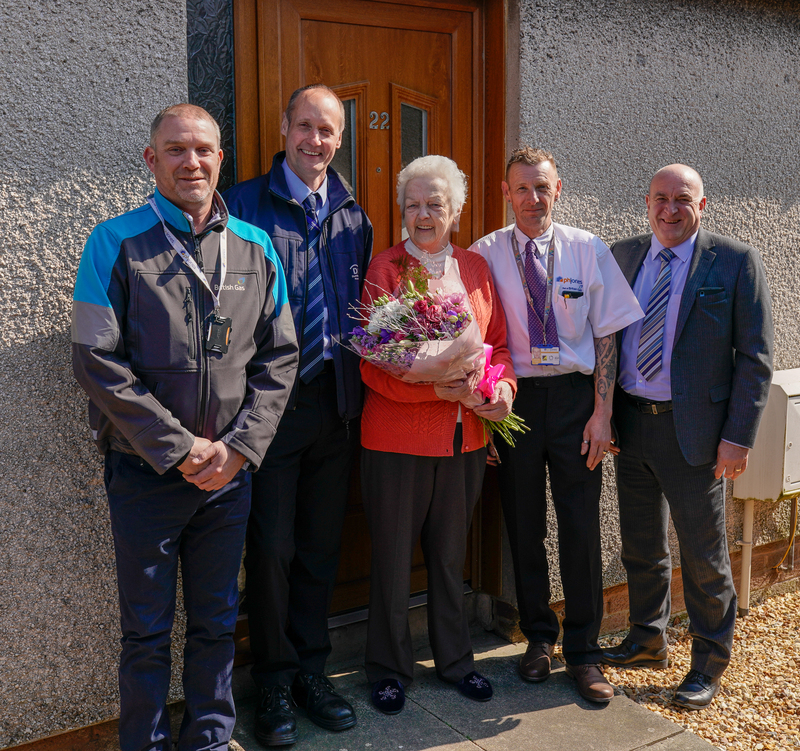 Jean Anderson, known as Doris, lives in Eastriggs and welcomed representatives of DGHP and contractors in to her home to celebrate the successful installation of the 2000th boiler in the ongoing investment programme. The new gas boiler heating system was installed as part of a four-year, £12.5 million heating upgrade programme to replace 2,845 older, less efficient back boilers with gas and air source heating pump systems. The programme started in 2016 with British Gas and its subcontractors. Over the next year around £3.2m will be spent on upgrading the remaining 800 properties. Where possible, gas heating is installed as part of the programme, but if this is not available it is usually air source heating or electric wet heating. Speaking to representatives who came to visit, Mrs Anderson said: “The new system is really good – there was absolutely no mess or hassle and I can’t wait to feel all the benefits. Jim Preston, DGHP’s interim director of investment and regeneration, said: “I was delighted to meet Mrs Anderson and hear how happy she was with her new heating. Making sure our tenants are benefitting from warmer, more efficient homes is what this programme is about and why we carry out the investment works. The programme has been designed by DGHP, in partnership with British Gas, to help tenants have warmer, more energy efficient homes. 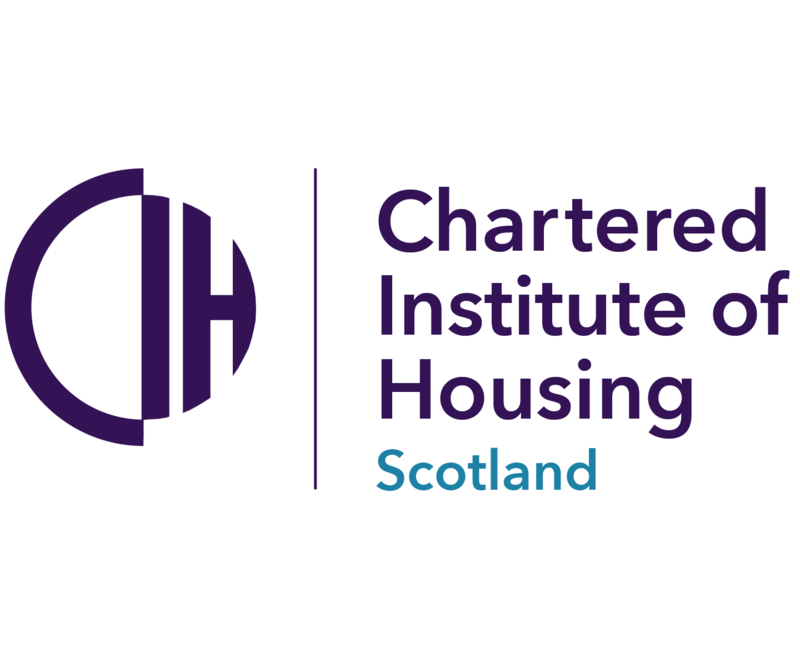 The new systems and measures being introduced are working towards all DGHP properties meeting the 2020 Energy Efficiency Standard for Social Housing (EESSH) guidelines. Tenants should see savings on their fuel bills annually as a result of the DGHP funded programme.